Gideon goes to the hospital to see his dying mother. After years of drinking herself into oblivion, her liver is failing. Gideon hasn’t spent a lot of time with his mother. He’s been too wrapped up in his own life. His mother tells of him of his father’s job vetting the government project named Thresher. Against the advice of Gideon’s father, the NSA signed off on the flawed project. Several months later the Russian government cracked it. General Chamblee Tucker was in charge of the Thresher project and he saw to it that Gideon’s father was set up as the scapegoat for the disaster. 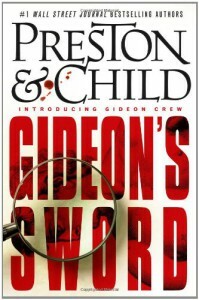 When Gideon’s father tried to take the information public he was assassinated. After she tells him the tale, Gideon’s mother asks him to “even the score” and “do toTucker what he did to your father.” These were his mother’s last words.